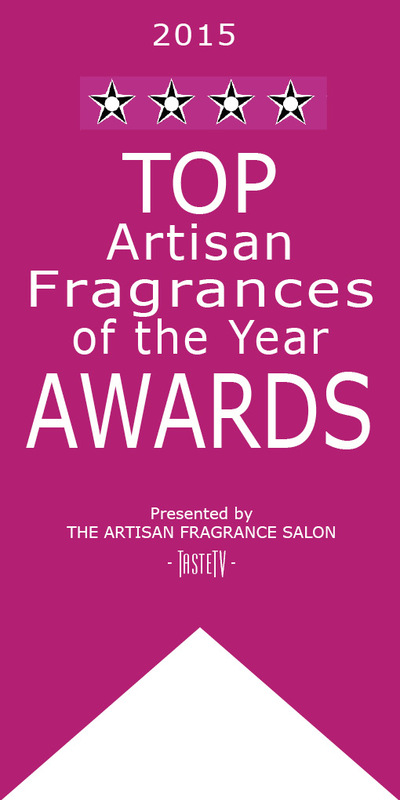 TasteTV and the Artisan Fragrance Salon are pleased to announce the judges for the Top Fragrance Awards Competition. They include: Christine Daley, Perfumersupplyhouse.com, Bonnie Carroll, Bonnie Carroll's Life Bites News, Dr. Marlen Elliot Harrison, Fragrantica; Basenotes; The Perfume Critic, Helen Roberts, Fragrance Aficionado & Collector, Felicia M. Hazzard, Fragrance Belles-Lettres Magazine, Emma Kraxov, Art and and Entertain Me, JetsetExtra.com. Registration is now open for the annual Top Artisan Fragrances of the Year Awards. Fragrances submitted will be judged by a national panel of fragrance and taste experts. 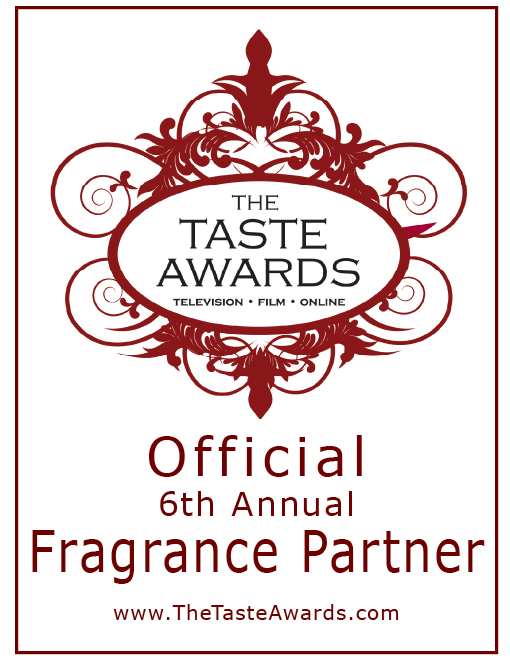 In addition, the three "Top Artisan Perfumer" award winners from this competition will be given the title, "Official Fragrance Partner of the TASTE AWARDS." The TASTE AWARDS celebrate the year's best in food, fashion and lifestyle programming on television, in film, streaming online, and on radio. Winner's are honored at the TASTE AWARDS, held annually in Hollywood.This year's awards will be presented January 2016. Winners will be announced in September 2015 in various categories, including Best Ingredient Combinations, Best Aroma, and Most Unique, to Most Seductive Scent, Top Artisan Perfumer, and Best Logo & Brand Design. Registration closes on August 7th (or earlier if all slots are full) at ArtisanFragranceAwards.com. For more updates, join the brand new TasteTV Fragrance Salon Facebook page. for complete Emmy Nominations List! Returns For More Live Laughter October 8th-17th, 2015. SBLOLFEST Pre-line-Up Festival Pass $99. Limited Number Available at sblolfest.com. The 2015 Santa Barbara LOL Comedy Festival (SBLOLFEST) will run from October 8th through 17th 2015 throughout Downtown Santa Barbara�s Historical Theatre District and will showcase a stellar line-up of national and international touring headliners. This will be the second year the SBLOLFEST is being produced in Santa Barbara and this year�s festival will take place over two separate back-to-back weekends. Presented by lolflix.com, the Santa Barbara LOL Comedy Festival 2014 (SBLOLFEST) featured live and filmed headline performances. Presented in five separate historical venues, SBLOLFEST featured over 50 national & international touring comedians over seven days, including Jay Mohr, Andrew Dice Clay, Russell Peters, Jim Jefferies and Christopher Titus to name a few. Eight stand-up comedy specials were filmed during SBLOLFEST. Specials having already premiered nationally on Showtime in 2015 are: Jay Mohr; Happy And A Lot; Andrew Dice Clay Presents The Blue Show and Brad Williams: Fun Size. Filmed at the Lobero Theatre, Brad Williams Fun Size is currently one of the highest rated comedy specials on Showtime for 2015. SBLOLFEST is scheduled to make the first headline show announcements in the coming weeks but pre-sale VIP Passes are now available for purchase. 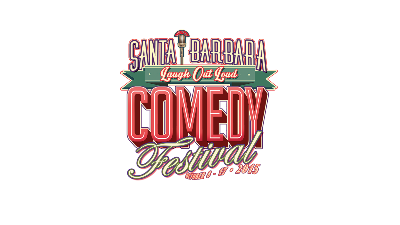 Purchase a pre-line-up Santa Barbara LOL Comedy Festival 2015 VIP Pass for $99 (limited number available) and save up to $225 on the VIP Festival Pass. The Pre-Festival VIP Pass will allow the passholder access into all shows with VIP Express Entry and Priority Section Seating. This is the lowest price this pass will ever be. After these $99 passes sell out, Level 2 SBLOLFEST Festival Pass purchase price will be $199.00. There will also be a limited number of these passes available. After September 17th the SBLOLFEST VIP Pass fee will be $325 each. *VIP Express Entry into all show from October 8 to 17. *VIP priority seating up to five minutes before show begins. In its 7-years, the LOL Comedy Festival has grown into a multi-stage, nationally recognized festival, featuring dozens of live acts filmed and produced for Broadcast. LOL Comedy, Inc. and lolflix have filmed and presented over 80 original stand-up comedy specials over the past 7 festivals and become the foremost supplier of independently produced stand-up comedy shows to the Showtime Networks. LOL Comedy titles premiering on the Showtime Networks have included Russell Peters, Bill Bellamy, Joan Rivers, Andrew Dice Clay, Tommy Chong, Jay Mohr and over 200 other headline comedians. Follow the Santa Barbara LOL Comedy Festival and lolflix online at: Facebook: /lolflix and /sblolfest and #sblolfest or watch performances an highlights at http://www.lolflix.com. Celebrated conductor Kostis Protopapas, whose engaging podium presence, incisive musicality, and administrative acumen have garnered praise from critics and industry professionals nationwide, has been named artistic director of Opera Santa Barbara. With the appointment, which caps a seven-month international search, Mr. Protopapas becomes just the fourth artistic director in the company�s 21-year history. As artistic director of Tulsa Opera over the past seven years, Mr. Protopapas has spearheaded a succession of notable productions from the pit. Writing in The New Yorker following a 2011 Tulsa Opera performance of The Barber of Seville, Alex Ross marveled at the orchestra�s �fluid idiomatic playing.� �In any city, it�s rare to find a conductor that sets the right tempo so consistently,� observed Mr. Ross. Mr. Protopapas previously served as Tulsa Opera�s associate conductor and chorusmaster, and has conducted 22 productions with the company since his 2005 main-stage debut with Cavalleria Rusticana/I Pagliacci. Mr. Protopapas also has distinguished himself as an administrator. Under his leadership, Tulsa Opera has gained an outsized reputation for adventurous programming, exceptional directorial and singing talent, and extensive community outreach, including statewide educational initiatives and innovative partnerships with local and regional organizations. 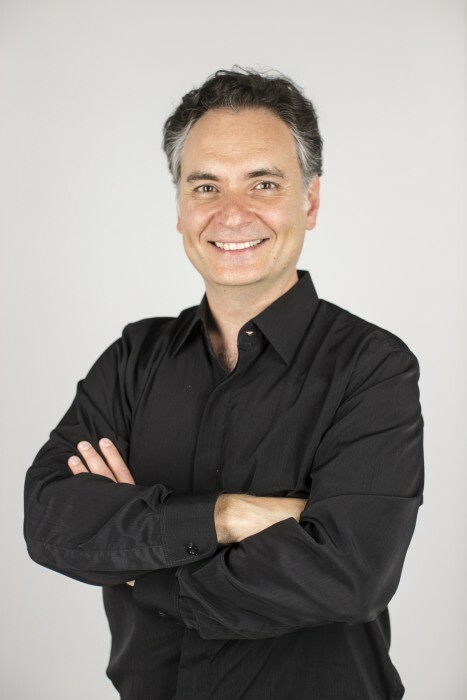 Between 2002 and 2008, Mr. Protopapas concurrently served as assistant conductor for Lyric Opera of Chicago, the Los Angeles Opera, and the Santa Fe Opera, and during the 2002 and 2003 seasons was Lyric Opera of Chicago�s assistant chorusmaster. Having begun his career at Virginia Opera and Opera Memphis, he also has conducted at Union Avenue Opera in St. Louis, the Des Moines Metro Opera, Opera Columbus, Shreveport Opera, and Opera in the Ozarks. In a review of Union Avenue Opera�s 2014 production of A Streetcar Named Desire, St. Louis Post-Dispatch critic Sarah Bryan Miller lauded Mr. Protopapas� �sure grasp of the score,� adding that the conductor �led his forces with clarity and energy, in a notable performance.� His performances have met with similar plaudits in the pages of Opera News, Opera Now, and Tulsa World. Born in Athens, Greece, Mr. Protopapas studied archaeology and art history at the University of Athens before turning his attention to piano at the Boston Conservatory and conducting at Boston University. He will continue to serve as artistic director of Tulsa Opera during his tenure with Opera Santa Barbara. Opera Santa Barbara will open its 22nd season with Mozart�s timeless drama Don Giovanni on November 6 and 8, followed by Donizetti�s bel canto masterpiece The Elixir of Love on March 4 and 6, and a twin bill consisting of Puccini�s compelling one-act operas Suor Angelica and Gianni Schicchi on April 22 and 24. Subscription sales are underway; single-ticket sales will begin August 15. Performances will take place at the Granada Theatre in Santa Barbara. To place a season subscription order, visit www.operasb.org or call 805-898-3890. To purchase single tickets after August 15, visit www.granadasb.org or call 805-899-2222.